The beautiful shaded backwoods of the Huron River provide the setting for the annual Dexter to Ann Arbor Runs. Choose from a 5K, 10K, or the classic Half Marathon, which takes runners on a scenic, gently rolling 13.1 mile course. Start in the picturesque town of Dexter, Michigan and head east along Huron River Drive to the exciting finish in beautiful downtown Ann Arbor. If you want the full Dexter to Ann Arbor experience, then this is the event for you. Both the 5K and 10K events start in downtown Ann Arbor and finish at the same spot as the Half Marathon. Are there pacers? — Yes, there are pacers for the half marathon. Look for pacers by the pace-per-mile signs in the starting corrals. 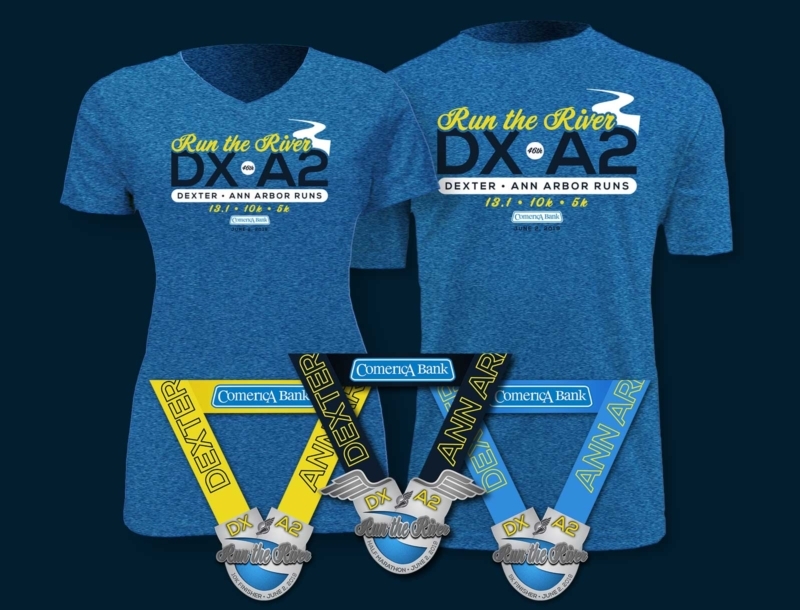 The Dexter to Ann Arbor Half Marathon is our main event; it’s the big kahuna. If you want the full Dexter to Ann Arbor experience, then this is the event for you. It’s 13.1 miles of scenery on winding Huron River Drive with the classic finish in beautiful downtown Ann Arbor. All finishers will receive a custom medal. If you’re up for a challenge, then we’ve got one for you. Show up early and enjoy the bus ride to the starting line of this race adventure.  This event is for runners. Participants must be able to maintain a pace of at least 15 minutes flat, per mile to meet course time limits. For more info on the minimum pace requirement, see Rules of the Road. SHUTTLES are provided to the starting line. Park in downtown Ann Arbor and ride to the starting line. STAGING AREA: The half marathon is staged at Creekside Intermediate School in Dexter (also known as “the old Dexter High School). Creekside is located at 2615 Baker Road, Dexter, MI 48130. Parking is available at Creekside, but parking in downtown Ann Arbor is encouraged. There will be no return shuttle service to Dexter after the race. PACERS: Official Pacers from the Ann Arbor Running Company will help you achieve your goals. Look for pace signs in the start corrals. AID STATIONS: Water will be served at nine aid stations. They’ll be located near miles 2, 4, 6, 7, 8, 9, 10, 11 and 12. The aid stations at miles 4, 8, and 10 will also have Gatorade available. Several porta-johns are available near all aid stations. The 10k is great for serious runners, not-so-serious runners, and walkers who want to go a littler farther than 5k, but not a whole half marathon. The course features some of the most beautiful stretches of Huron River Drive. It is an out and back course, with participants moving in opposite directions on the same road. STAGING AREA: The 10k race starts in downtown Ann Arbor on North Main St. near Kingsley. No shuttle is required for this race. The race will start promptly at 7:50am on North Main St. in downtown Ann Arbor. The 10k start line is a quarter mile north of the finish line on Main St.
AID STATIONS: Water will be served at three aid stations, located near mile 1, mile 3, and mile 5. The aid station at mile 3 will also have Gatorade available. A porta-john is available at these aid stations. 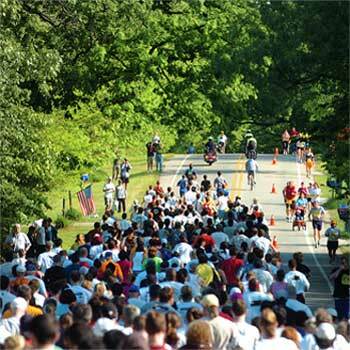 The AMICA 5K (3.1 mile) Run/Walk is a great way for the whole family to take part in the Dexter-Ann Arbor Run. This course now features the same start and finish area as the 10K course. There are some serious 5k runners in this event, but also plenty of joggers, walkers and families in the field as well. Note to wheelers & participants with strollers, for the safety of all, please use extreme caution around others. STAGING AREA: The Amica 5k race starts in downtown Ann Arbor on North Main St. near Kingsley. No shuttle is required for this race. The race will start promptly at 8:00am on North Main St. in downtown Ann Arbor. The Amica 5k start line is a quarter mile north of the finish line on Main St.
AID STATIONS: Water will be served at a single aid station, located near the two mile mark. Porta-johns will be available at this aid station.